As one of three sister co-ops that collectively own Big Rivers Electric Co-Op, Meade County Rural Electric Co-Op (RECC) provides electricity to more than 28,500 homes, farms, businesses and industries in five Kentucky counties. Here is how the organization was able to streamline its document-based processes with Laserfiche Quick Fields, Laserfiche Workflow and Laserfiche Forms. 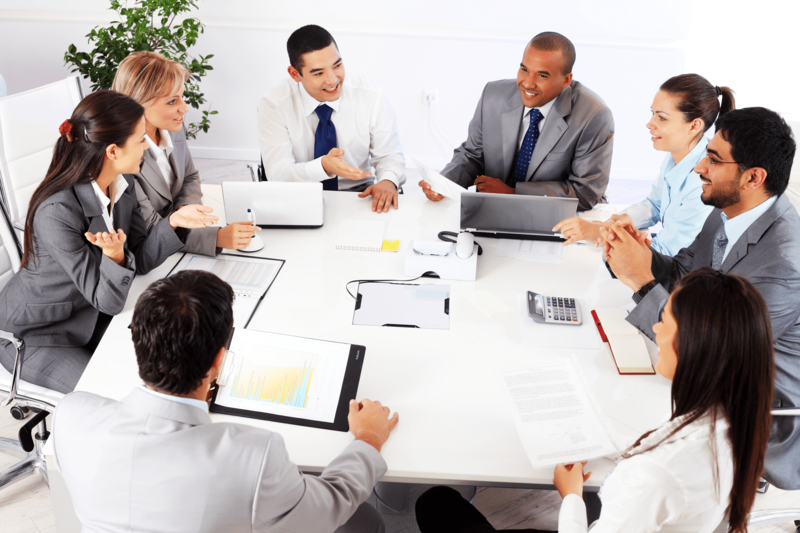 Documents are now scanned with Laserfiche Quick Fields and processed with Laserfiche Workflow. During the scanning process, Laserfiche Quick Fields extracts the account number from the document with Zone OCR and uses it to populate the account number field. Once documents have been scanned into the repository, Laserfiche Workflow uses the account number to look up other information in the customer information / billing database, such as the customer’s name. That information is then used to populate the rest of the template fields. 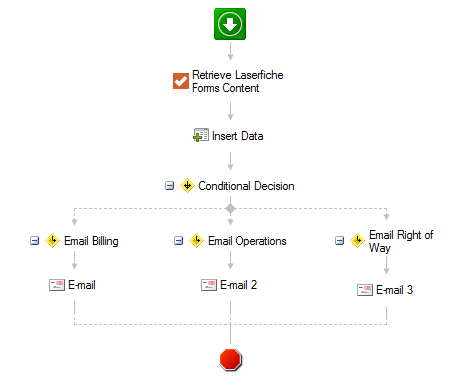 Laserfiche Workflow then routes the documents to the correct folder in the repository. New members fill out a PDF form application, which gets saved on a network drive. As part of the form, the customer service representative captures the member’s signature on a Topaz Signature Pad. The representative also scans the new member’s driver’s license and social security cards and appends them to the application. Laserfiche Import Agent automatically imports the new application into Laserfiche from the network location. 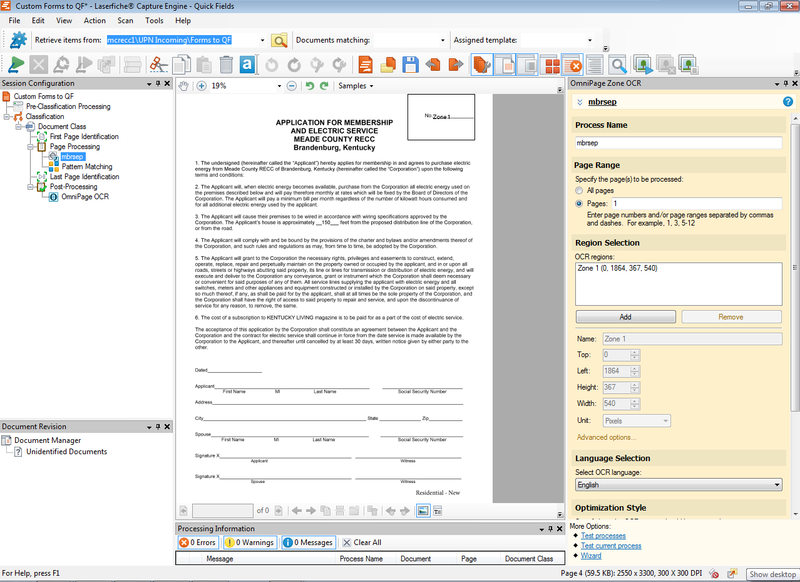 Laserfiche Workflow automatically completes the remaining metadata by referencing the obtained information in a database. If the membership number was entered incorrectly, Laserfiche Workflow routes the document to an Exceptions folder and sends a notification email to the appropriate employee to correct the membership number. The employee fixes the membership number and manually restarts the membership business process. 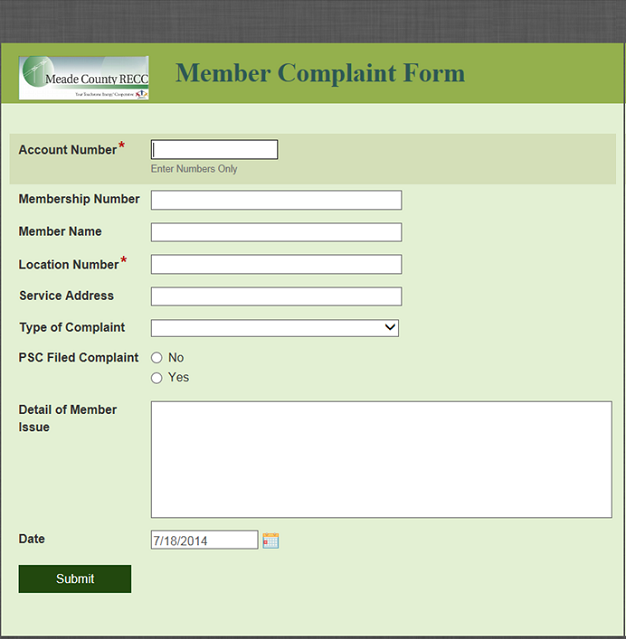 If a member has to file a complaint, such as a meter or billing issue, he fills out the online Member Complaint Form in Laserfiche Forms. In the past, certain employees spent 2-4 hours a day scanning hard copies of documents and typing in all the metadata. 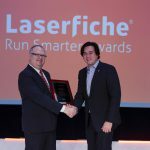 With Laserfiche Quick Fields, this process now takes minutes. By performing checks on the membership number and database lookups, Laserfiche Workflow makes sure that the metadata is always accurate. This helps with document search and retrieval. Having the ability to integrate Laserfiche with other systems has allowed Meade County RECC to offer improved and quicker service to members by being able to retrieve a wider array of information and documents more quickly and accurately than in the past.